Are Fruit Smoothies Actually Healthy? Fact or Fiction? 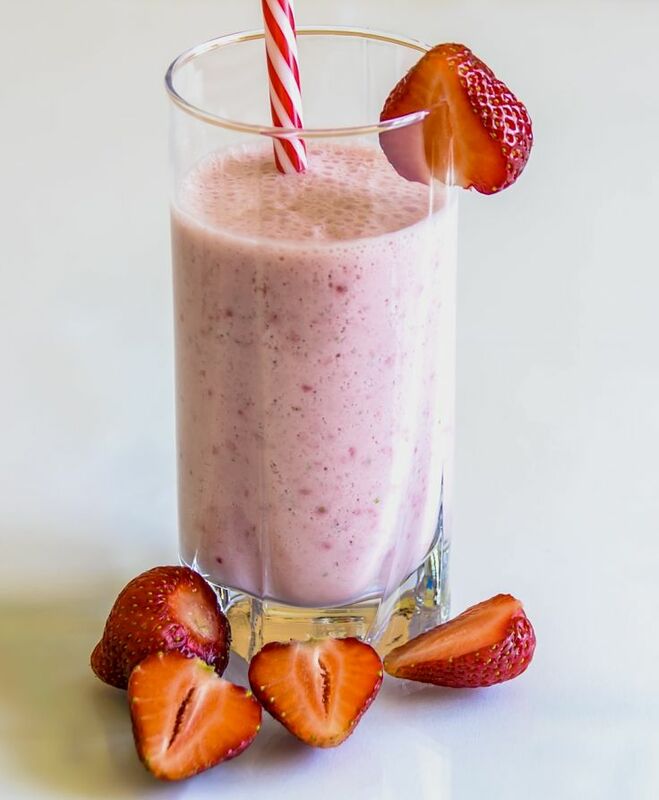 Fruit smoothies, frozen yogurt drinks, frappes and other beverages based on fruit are strongly promoted as healthy beverages, both as a fast food choices, restaurant drinks and homemade. But as most people are aware, raw fruit does contain significant calories, especially certain varieties such as bananas, avocado and figs. Nuts are also promoted as healthy, but they are rich in fats and have very high calorie contents. However, most fruits, with rare exceptions such as avocados, contain virtually no fat, but they are rich in natural sugars and carbohydrates. These sugars get concentrated in dried fruits and so-called 'fruit concentrates' that are used to prepare various fruit beverages. Cane sugar and fructose are added to many fruit juices and beverages, often in ways that the consumer is unaware of. Upsizing boosts calories! 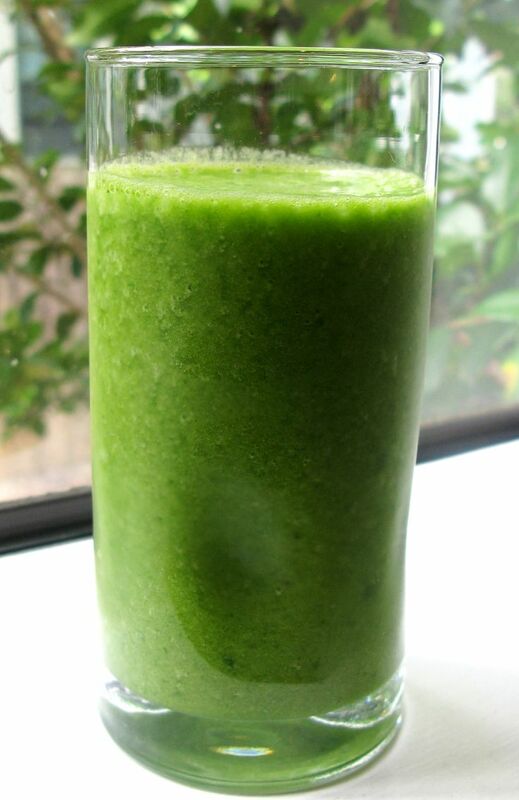 Beware that even the classic green smoothie may contain more sugar than a can of Coke. Why? Blame the juice that you add to it. A large glass of apple juice contains 9 teaspoons of sugar. Using juice rather than whole fruit means the sugar is in a liquid sugar form, which is the worse way to consume fruit. The fiber is gone and there is no bulk of tissues to slow down the absorption of the sugar from the gut. Recent studies of the nutrients in commercially available smoothies in Australia has found that more than 50 percent of them have very high sugar contents. Some smoothies contained the equivalent of 30 teaspoons of granulated sugar in a single serve, and calorie contents as high as 500 calories (2000 kilojoules). This is equivalent to one standard sized meal. For women and men, the recommended daily intake per meal is 675 and 825 calories respectively (total 2,000 calories per day for women; 2,500 for men). For people on a diet, trying to choose healthy alternatives such as salads and low fat dishes, this can be a tragic disaster, undoing all their efforts, despite them trying to choose a 'healthy' beverage for their meal. This article provides nutrition information for a variety of smoothies, and guides and tips for checking that the fruit smoothies you eat at various outlets, or make at home and not stuffed with hidden extra sugar and are calorie bombs. A survey by the Australian consumer group 'Choice' of almost drinks from a variety of local outlets such as Donut King, Boost Juice, KFC, Wendys, New Zealand Natural and Gloria Jean's has found 80% of them were high in sugar. Often this was because the ingredients included fructose syrup, cane sugar and fruit juice concentrates to make them sweeter. In the worst cases the standard serve smoothies on the menus had the equivalent of 30 teaspoons of sugars. The study also highlighted a trend to get customers to supersize from 'small' or 'regular' to 'medium' or even 'large serves', thereby turning a healthy drink into a calorie overload. There was a lot of inconsistency between serving sizes even when described as 'regular, medium and large'. Customers opting for 'regular' may get almost twice the volume at some outlets. 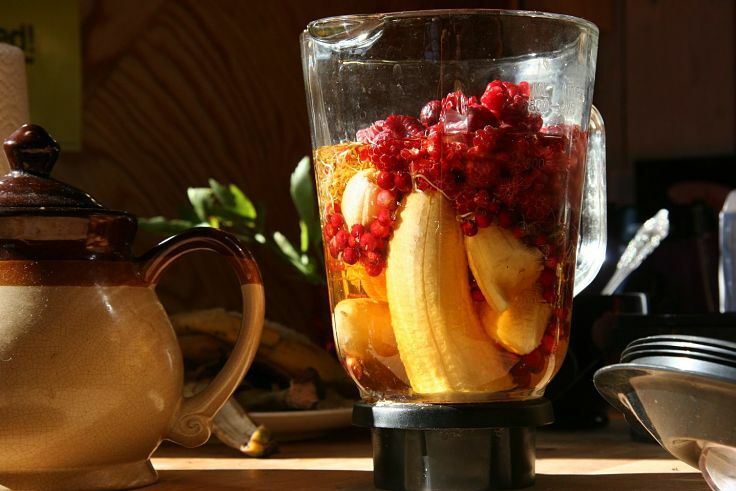 There are similar concerns for homemade smoothie, which while healthy make contain a huge number of calories. Some supplements such as diet and protein shakes can contain relatively high calories and adding two medium bananas (total 200 calories) to a blender can quickly boost the calories. Adding one cup of rolled oats can boost the calories by 300 calories. 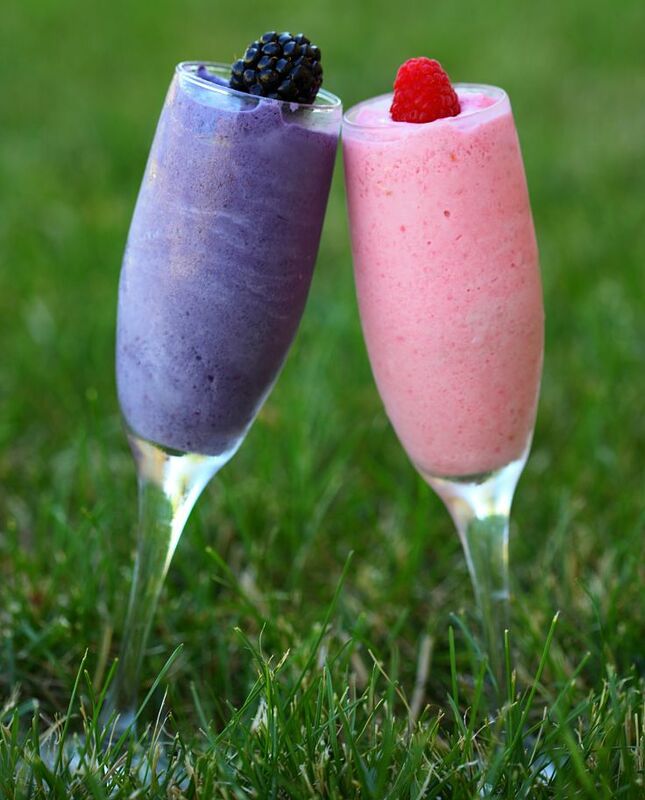 A homemade fruit smoothie made with soy protein mix can contain 370 calories for an 8 oz serve (225 g). People need to be conscious of the calories when they are loading lots of fruit into the blender and adding a sweetened fruit juice or flavored yogurt (8 oz Greek yogurt honey flavored has 320 Calories). Clearly people should consider all the ingredients in a fruit juice smoothie they buy or make at home. When fruit is juiced, fluids, flavors and all the sugars and carbohydrates are extracted from the fruit fiber (bulk solids), however virtually all the calories remain in the liquid. Most people would be unlikely to eat the bulk of four apples, but could easily consume the equivalent in apple juice or a fruit smoothie sweetened with apply juice, especially a concentrate. Even the kids’ servings at popular outlets such as Boost, which is 350 ml (12 fl oz), provides up to 360 calories in a single serve. The study found that the calories in the smoothies were well beyond those of the fruits that were blended to provide the drink. The extra calories arose from added sweeteners and yogurt. The item on the ingredients list "concentrated fruit juice" may seem healthy, and it is in relation to fiber and vitamins, but not in terms of the huge loading of calories. The table opposite shows a ranked list of the calories in raw fruit, for a standard serving of 100g (equivalent to about 100 ml when blended). The fruit with the lowest calories are listed first. The table below lists the nutrients in some common fruit juices that may be used in smoothies. 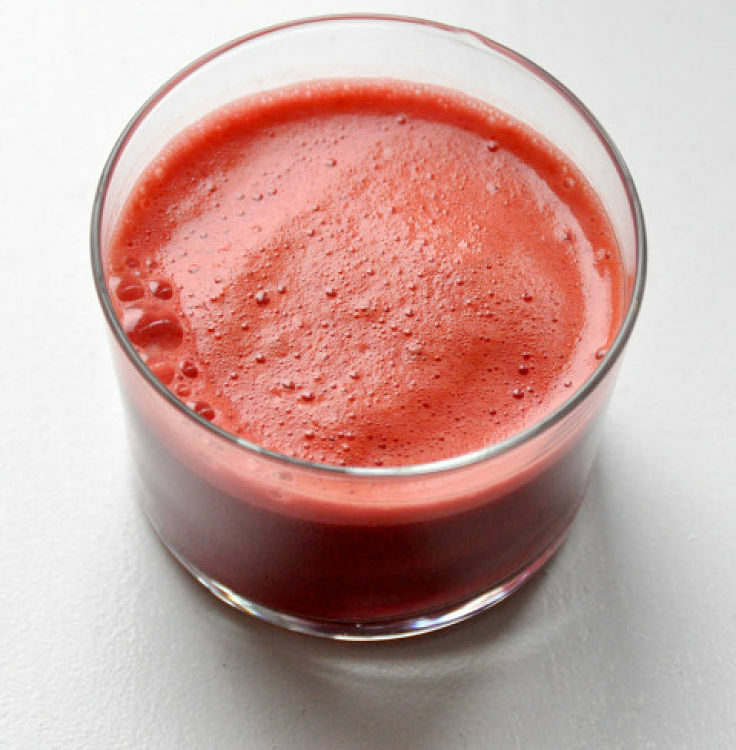 Most of the listings are for raw and unsweetened juices that have not been concentrated. You can click on the headings to resort the table for various nutrients. The ones included are Calories, Total Fat (g), Sugar (g), Total Carbohydrate (g), Vitamin C (mg), Vitamin A (ICU), Other Vitamins (a rating for all the other Vitamins), Folate (mg), Protein (g) and Fiber (g). The final table lists the calories and nutrients in popular smoothies available in Australia. Some popular fast food desserts and also some fruit juices have been included for comparative purposes. The chart list the items from high to lowest calories for the standard serve of 100ml. More than half the smoothies contained more calories than an equivalent serving of fruit juice. But most people would drink far greater volumes in smoothies than fruit juices. 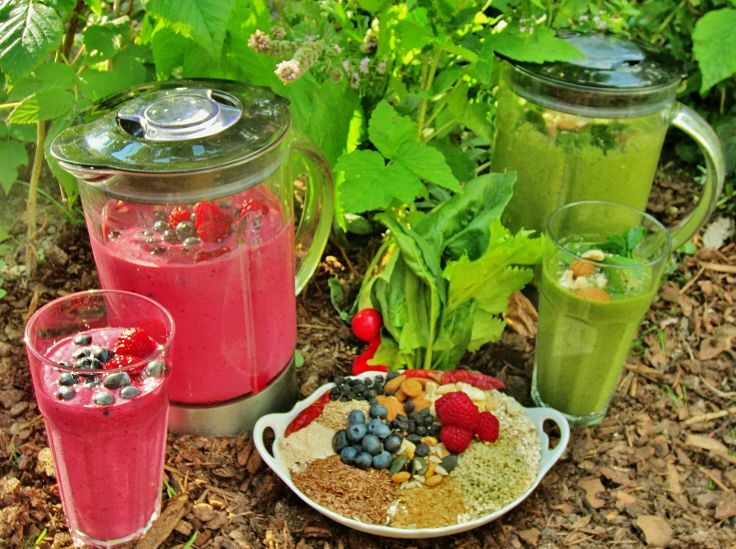 Modern blenders and smoothie makers claim to be able to free-up all the nutrients within the ingredients. Ironically this may mean that all the sugar ends up in a liquid form to be instantly absorbed by the body. Smoothies are a great way to get your daily allowance of fruit, but the number of fruit may be excessive and greater than you would eat as whole fruit, leading to high sugar and calorie intake. 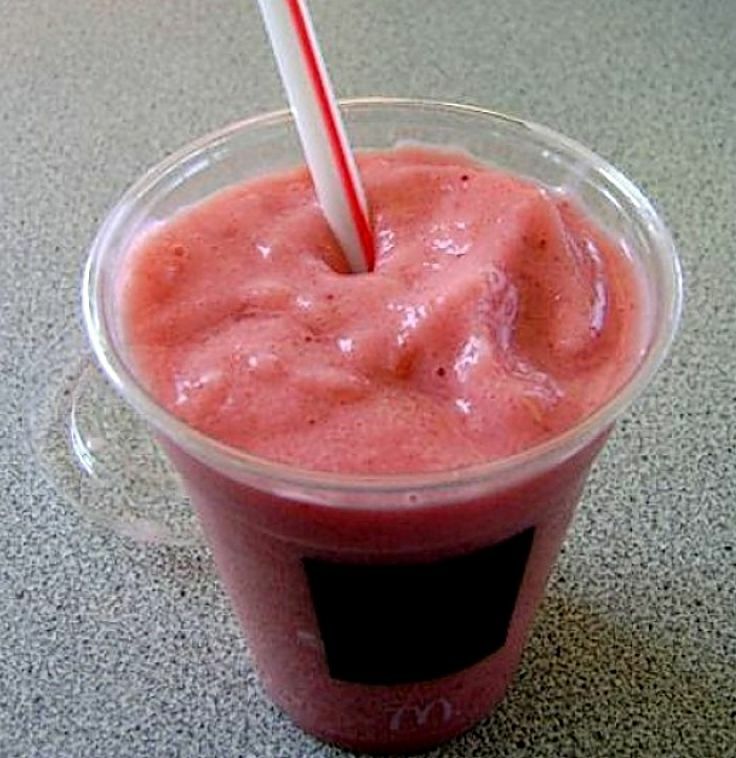 Smoothies are very popular and many contain healthy fresh fruit. Cheers! Many of the common smoothie ingredients are healthy foods, even super foods, but many of them have high fat and calorie contents.